A curious connector who delights in detail and cherishes both yesterday and today, Alanna Nelson began her textile fascination in the elementary school. She doesn’t remember why she felt compelled to take her babysitting money down to the five and dime to buy knitting needles, yarn (most likely acrylic) and a learn to knit pamphlet. Sharing good stories and news motivates Alanna’s marketing practice. She provides digital marketing, event coordination and creative content for clients and community activities. Alanna’s passion for textiles followed her while living in Tunisia, Italy and the US. 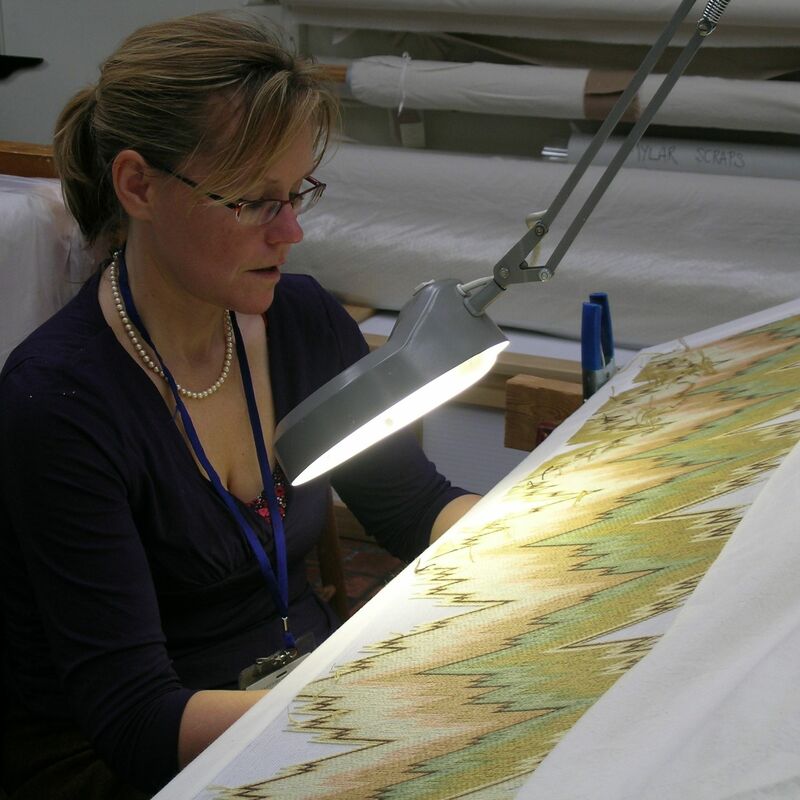 In the last decade, she has sewn, embroidered and quilted for a variety of private and institutional clients. Her quilts have been exhibited in Italy, Japan and in the US. Alanna has completed Level 2 of The Knitting Guild of America’s Master hand knitting program. She has a B.S. degree in Geography from the University of Wisconsin and an M.S. degree in Recreation, Park and Tourism Sciences from Texas A&M.